One of the smallest mammals; snout long and pointed; ears small and concealed in the short fur; eyes small; tail never more than twice as long as hind foot; fur dense; upperparts grizzled olive-brown, paler below. Dental formula: I 3/2, C 1/0, Pm 2/1, M 3/3 X 2 = 30. External measurements average: total length, 79 mm; tail 18 mm; hind foot, 10.5 mm. Weight, 4-7.5 g.
Occurs in eastern and central portions of the state, west in the Panhandle to the New Mexico line, and to Val Verde County along the Rio Grande. 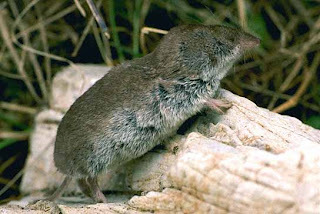 The least shrew is an inhabitant of grasslands where it utilizes the surface runways of cotton rats (Sigmodon) and other grassland rodents. 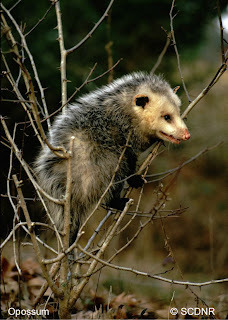 It seldom occurs in forests but occasional individuals have been found under logs and leaf litter in moist, forested areas. Most of its foraging seems to be done on the surface of the ground but the behavior of captive individuals suggests that occasionally they may tunnel through leaf litter and loose, damp soil, much as do moles, in search of food. The home proper is a small underground burrow or a series of shallow runways under flat stones or fallen logs. Burrows excavated in east-central Texas were about 2.5 cm in diameter, from 25 cm to 1.5 m long, and seldom more than 20 cm below the surface at the deepest point. Each burrow had an enlarged chamber at the end or in a side branch for the nest which was composed of dry, shredded blades of grass. These nests were used for rearing young or as resting places for groups of adult and half-grown shrews. 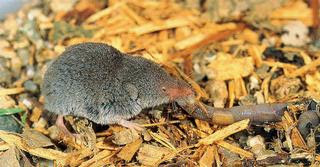 In contrast to most species of shrews, Cryptotis is sociable, and several individuals may be kept together in captivity without serious conflict. They sleep together and cooperate to some extent in digging tunnels and capturing food. One nest examined in December in Texas contained a dozen shrews that seemed to be established there for the winter; another examined near Nacogdoches was occupied by at least 31 individuals. 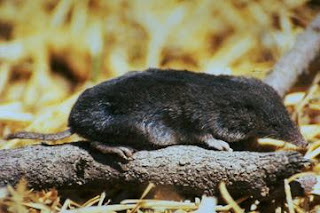 These tiny shrews are active at all hours of the day, but the peak activity comes at night. Also, they are difficult to trap except in winter when the supply of natural food is low; then they respond more readily to bait. In Texas, they tend to concentrate in favorable areas in winter and to disperse over wider areas when conditions are more favorable. That they are abundant at times in favorable areas is attested by the fact that barn owls capture and consume large numbers of them. These shrews made up 41% of the food items of a pair of barn owls as revealed by examination of owl pellets from Colorado County. In Jefferson County, 73% of the animals represented in barn owl pellets were Cryptotis. The food of these tiny creatures is entirely animal matter — snails, insects, sow bugs, and other small animals. They occasionally set up housekeeping in beehives and feed upon the bees. Shrews kept in captivity preferred black crickets, then grasshoppers, sow bugs, and hard-shelled beetles in the order named. These captive shrews stored excess food in one corner of the cage, suggesting that they may behave likewise in the wild. 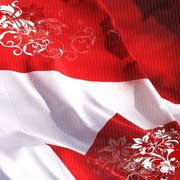 The breeding season extends from early March to late November. No winter-taken specimens from Texas have been in breeding condition. Females produce two or more litters each season. 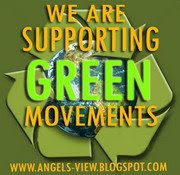 The young, three to six in number, are hairless, blind, and helpless and they weigh about 0.3 g each at birth. They grow rapidly and attain adult proportions in about 1 month.